Most times in life you either have a lot of time or money, but, rarely, both. If you are converting a van, you probably have a lot of the former. In our case, we started off spending more time to save more money by being extra frugal in our spending. This meant lots of Craigslist searching and borrowing tools from friends. As the project progressed, we slowly began transitioning to spending more money to save some time. Having missed our deadline multiple times on when we wanted the van completed by, it got to a point where everything goes. This does not mean we slacked in the quality of our build, just that we spent less time shopping around for the best prices and ended up spending more money than necessary because of this. 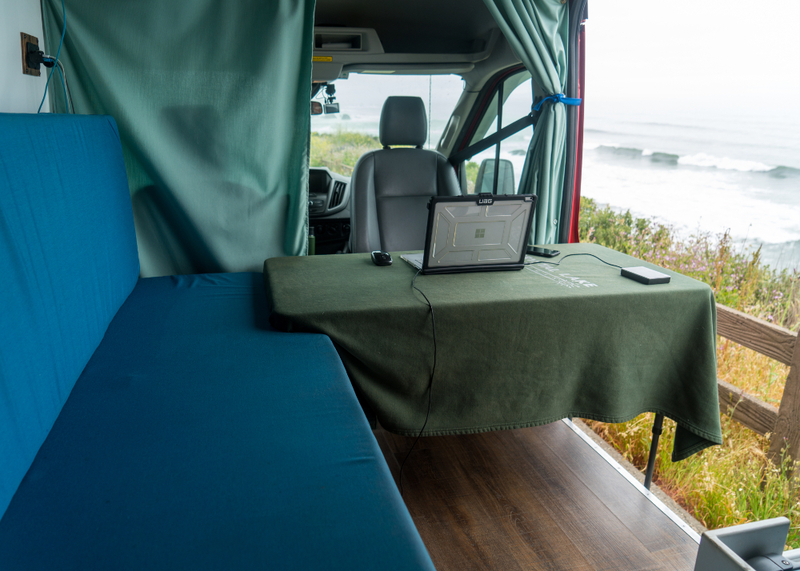 Below, you’ll learn about saving time and money through the van conversion. While Craigslist certainly doesn’t save you time, it does save you money. We were amazed by the things we were able to find and the prices people were selling them for, saving us money on a Stansport stove, ceiling vent, and heat gun. We even found the listing for our van on Craigslist. Here are some tips we found for speeding up our Craigslist searches. Gallery – It is easiest to search for items using the gallery viewer because it allows you to quickly see the listing title, photo, price, and hide button. Map – Use the map to make sure items are within driving distance. Listing Dates – These will help you determine how fast you need to act on a buy and how much the seller may be willing to go down in price. Hide – Hide items from the list by clicking the button with a trash can and x (see photo on right). US Search – Use SearchTempest to search the whole US for a listing, rather than just one region. You can also search other listing sites simultaneously, such as eBay. Phrase Search (” “) – Put quotation marks around your phrase to search for an exact phrase. Omit Words (-) – If you don’t want a specific item to appear in your search, use “-” in front of the word to omit it. 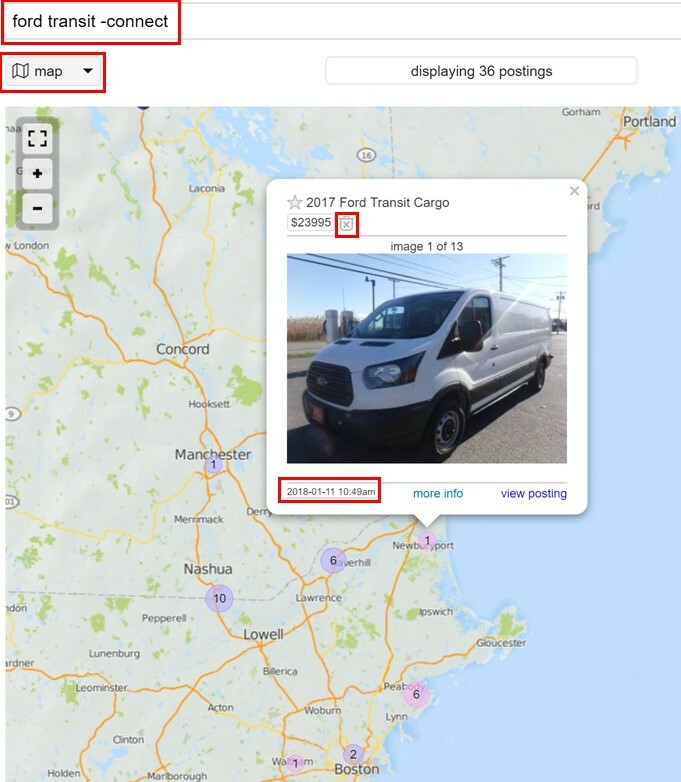 For example, when searching for a “Ford Transit”, you can eliminate all “Ford Transit Connects” by searching “Ford Transit -connect”. OR Search (|) – To search for postings with one or multiple terms, use the symbol “|” between each word. Wildcards (*) – To search for different forms of a word, use the “*” symbol. For example, *fridge could help you search for refrigerator. Note: You can also use multiple search techniques simultaneously. Haggle – Remember to haggle with people. Often, they are willing to go down in price by quite a bit, especially if the item has been listed for awhile. Buy Quick – If you see an item listed that day and you really want it, chances are, there are a bunch of other people interested in the item as well. Security – Before contacting someone, Google their contact information or a sentence from their listing. If they are a scammer, there is a good chance their scam will appear on the FBI’s webpage. Call – Be sure to go by the requested form of communication, but, if not specified, people generally prefer that you call (unless they are young, then texting or emailing works just as well). Flexible Schedule – If possible, make it convenient for both parties involved. Public Buying – Buying the item in a public place can be a little less convenient, but far more safe than driving to the person’s house. One of the biggest ways you can save time on converting a van is using the right tool for the job. 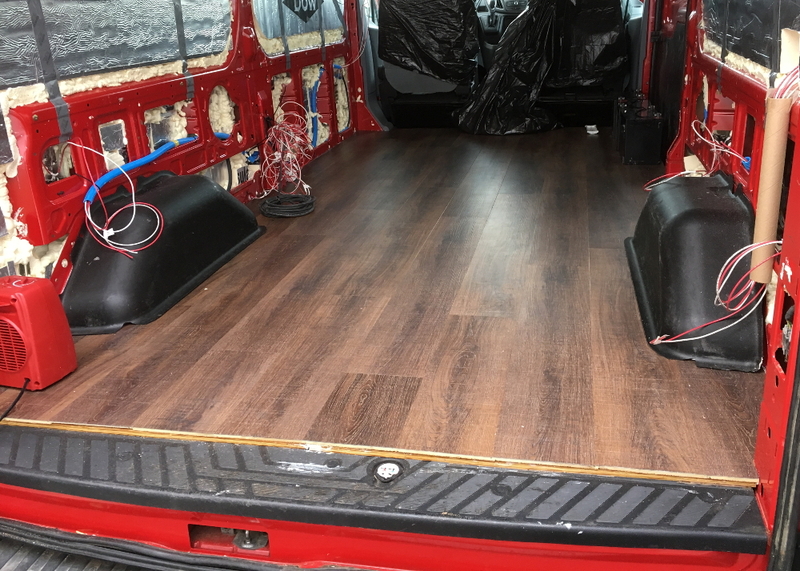 When we first started converting our van, we bought a jigsaw off craigslist and thought, “great, now we can do everything!” We soon realized that, while a jigsaw can get the whole job done, it is not the most efficient or precise way of doing so. Obviously, the best type of shopping is local shopping! While converting our van, we were able to do this for some things, but not all. We found ourselves going to Home Depot more than we would have prefered because our local stores didn’t carry what we needed. That said, we were able to find a local flooring shop, lumber store, solar panel distributor, and used Craigslist a boat load. We even bought our van from a local auto repair shop! Basically, everything that was a “specialty” product we bought from local stores and all of the more basic items, such as tools and hardware, we bought from Home Depot. Home Depot allows you to return products within 90 days of purchase (some items are 30 day returns), even if the packaging has been opened. In our case, this came the most in handy with buying foam sealant, paint, silicone, or any other items that we weren’t sure how much we would need. Rather than buying what you think you’ll need, buy extra, more than likely you will need it and, if it turns out you don’t, you can just return it. 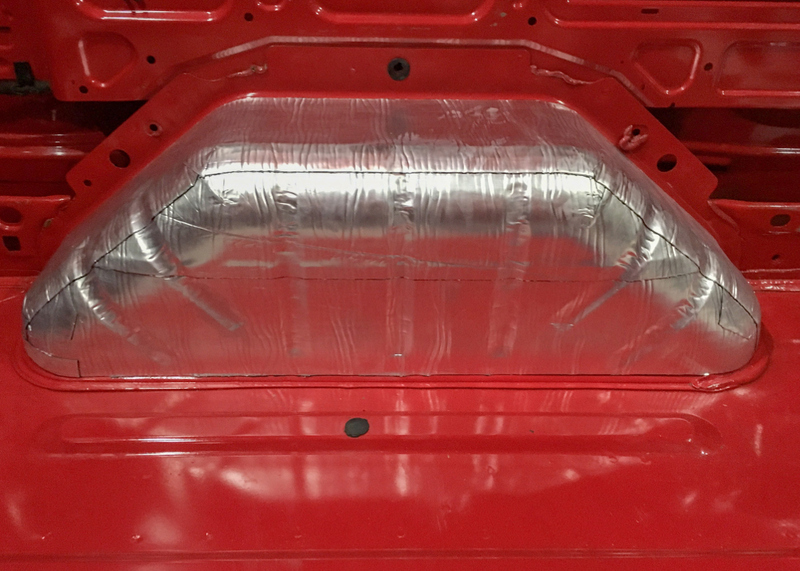 When we first started insulating the van, we found that we underestimated how much foam sealant we needed multiple times. Had we just bought a boat load to begin with, we would have gotten the bulk discount and not wasted time driving back to the store. No receipt? That isn’t a problem either. If you bought the product with a credit card, they can usually find the purchase in their system and refund you. You just need to have some form of ID with you. And many other things. . .
You can also view all of these this information online (except store layout). You just have to specify your store location first. Home Depot’s Pro Xtra program is available for anyone to sign up for and allows you to get special discounts, purchase tracking, and many other things. When we were converting our van, we didn’t know about this program, but wish we had. If you spend $1,500+, you will likely qualify for a volume discount. In order to get the discount, you need to talk to the local Pro Desk at your Home Depot store. 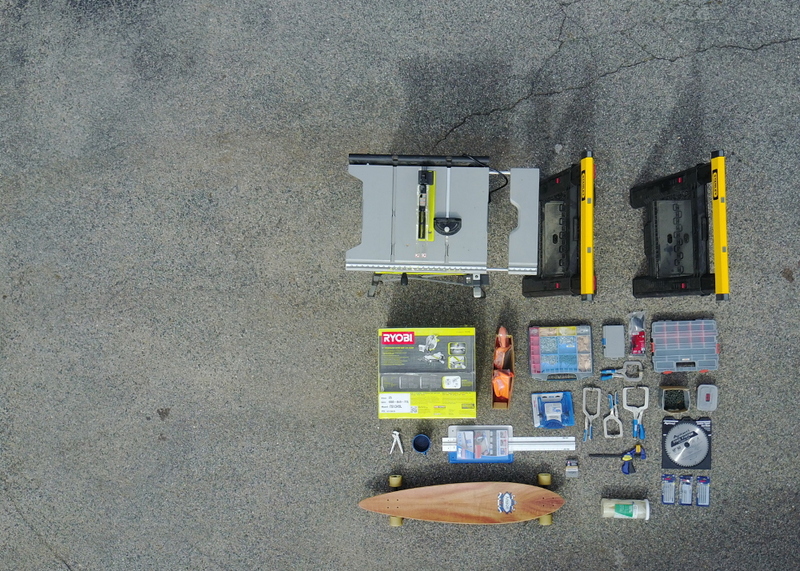 These all go hand-in-hand, but, to start out a phase of the van build, we would plan it out first, practice any new techniques we hadn’t done before, and, if we knew the process was going to be repetitive, we would build a jig. 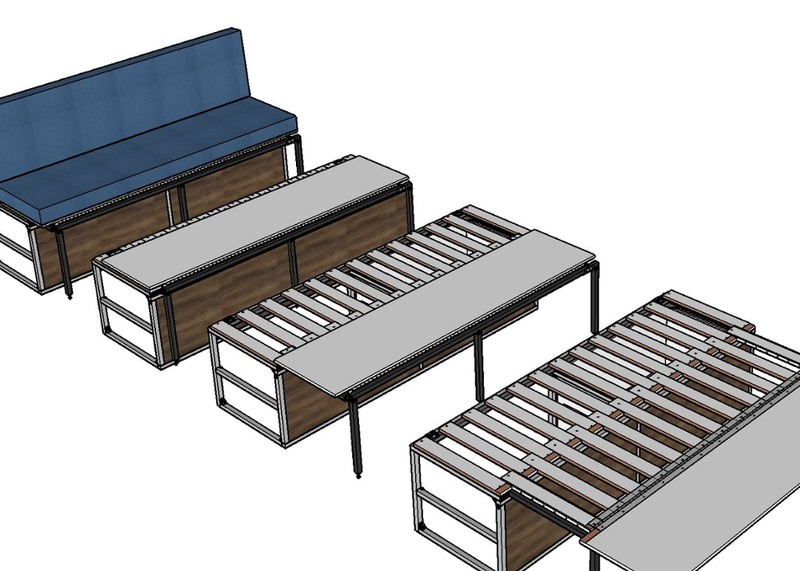 We used Google SketchUp for virtually all of our planning. It is a free 3D modeling software, that allows you to visualize and iterate on your design before making any cuts. We even used it for coming up with efficient ways to cut plywood and fabric. Planning out cushion cover fabric cuts. When starting out a project, there were so many times that we were tempted to just go for it and, sometimes, we did just go for it. 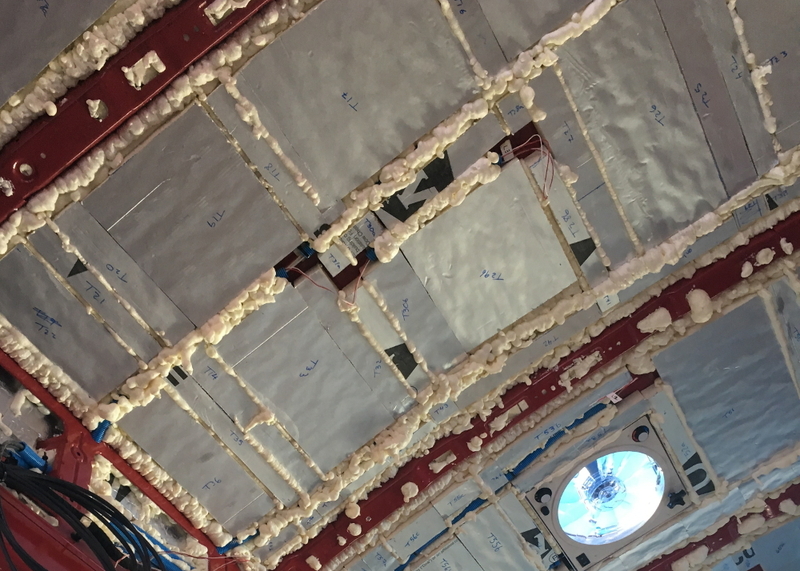 But, having little hands-on experience with the tools we were using and the materials we were working with, “just going for it” usually led to a waist of both time and money. We learned this lesson early on, when we messed up a cut on a sheet of plywood and had to go out and buy a new one. After this point, we practiced techniques and became familiar with tools on scrap material. 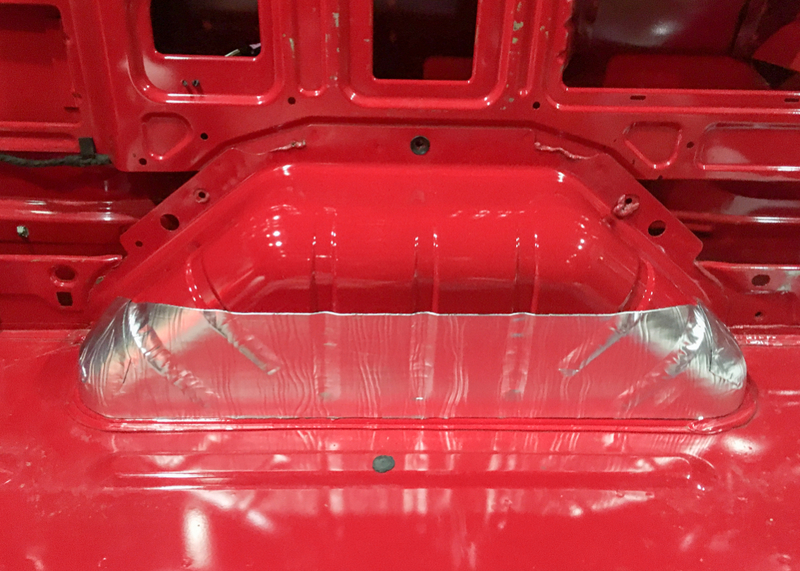 We practiced staining, learned the basics of using a router, became more confident drilling or cutting holes into the body of the vehicle, etc. Not only would practicing teach us the basic skills needed, but it also allowed us to learn what could go wrong and give us a chance to come up with techniques for minimizing these mistakes on the actual attempt. Whenever we were about to start a repetitive task, wanted to increase our accuracy, or didn’t have the “perfect” tool for the job, we would build a jig. A jig is a tool, often custom built, that can be used to control the motion and/or location of parts or other tools. 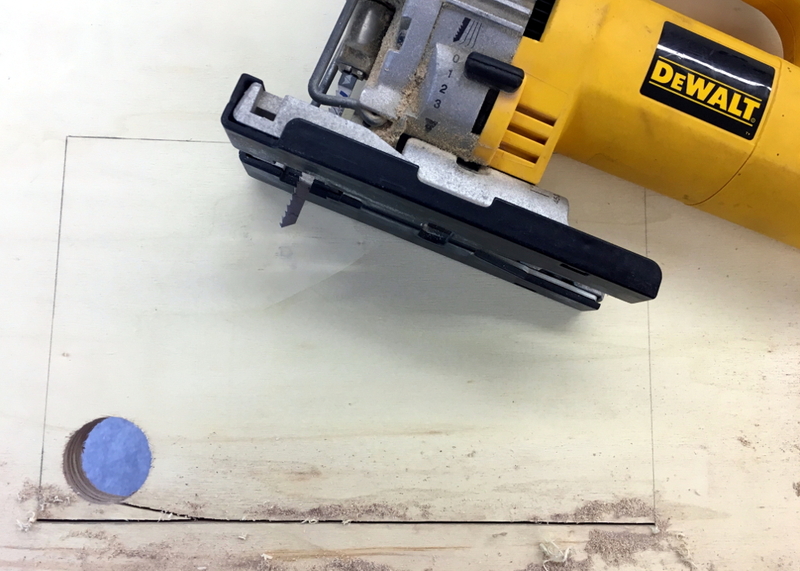 A good example of a jig is Kreg’s Pocket Hole Jig, which controls your pocket hole drill angle, depth, and location. Imagine trying to drill these holes without a jig. . .